My name is Richard Martinez and this has been Vavel USA's coverage of the 2018 NBA Awards show. Thank you for following and good night. What a night for the NBA. Each award was tight and could have gone in any of the finalist favor. The winners will take home the hardware while the runners-ups will begin their summer programs to get better and hopefully be on the stage next season receiving an award. 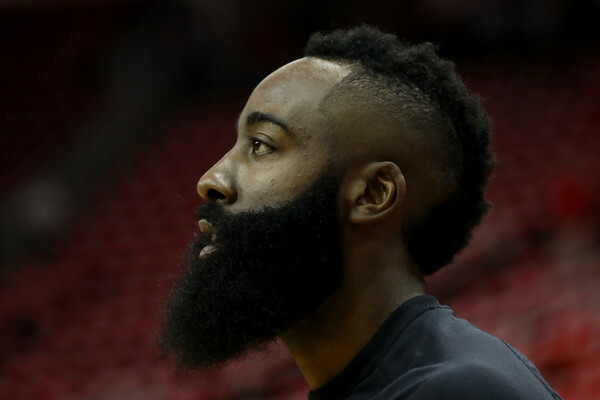 The show concludes with a touching Adidas commercial featuring James Harden and his mother. "Sixth Man of the Year to the MVP. Shout out to all the youngins man. If they have a dream, there is a vision out there, go take it. Go chase that dream." - James Harden. Harden goes on to thank everyone in the Houston Rockets organization. He then goes on to thank his family members. "Wow. All glory to God." - James Harden. And the winner of the 2018 NBA Most Valuable Player Award goes to James Harden of the Houston Rockets. NBA Commissioner Adam Silver will be presenting the award for the 2018 NBA League MVP. James Harden. LeBron James. Anthony Davis. Who will be the 2018 NBA MVP? "I can only hope to live up the reputation of Craig Sager, who embodies strength, respect and of course great style." Mutombo. 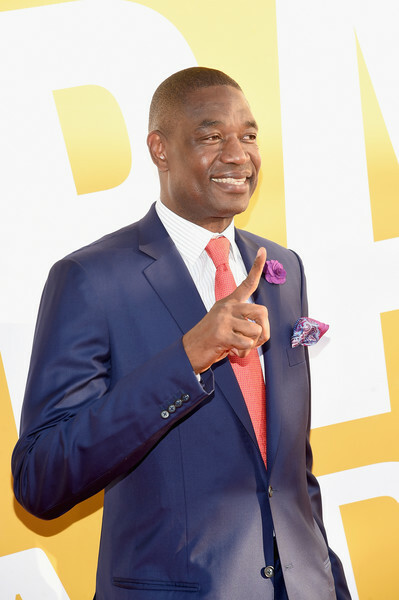 Mutombo's ultimate dream was to build a hospital in his home country of Congo. His next dream project is to build a school to help the people in his community become strong, educated people in society. "We can all make a change in the world. I learned that from my parents, who strongly believed in good education. Not only for their own children, but for the children of their extended family in the community." Mutombo. Joel Embiid, Reggie Miller and Yvonne Orji are on stage to present Dikembe Mutombo with the 2018 Craig Sager Strong Award. He opens up with this song titled Watch. He then goes into his other hit song Butterfly Effect. Scott then breaks into Goosebumps. Travis Scott has now taken the stage. Just before Travis Scott takes the stage, it was announced that Houston Rockets general manager Daryl Morey won the 2018 NBA Executive of the Year Award. LeBron James' game winner against the Minnesota Timberwolves on Feb. 7, 2018 is the winner. The fans have spoken and we are awaiting the announcement of the 2018 Play of the Year. The NBA on TNT Crew are back talking about the greats that have ever played in the NBA. With Robertson at the forefront, he and others improved the conditions of the league and helped come up with the concept of NBA Free agency. "In life it is important to be stubborn about what you believe in order to help others. Even in great personal sacrifice." - Robertson. A touching highlight package is shown. The highlight reel acknowledges Roobertson's career highlights and is thanked by players from different generations. Former players Charles Barkley and Kareem Abdul-Jabbar are presenting Oscar Robertson with the 2018 Lifetime Achievement Award. The 2018 NBA Teammate of the Year Award is awarded to Jamal Crawford of the Minnesota Timberwolves. The next award that is being presented is the 2018 NBA Teammate of the Year Award. 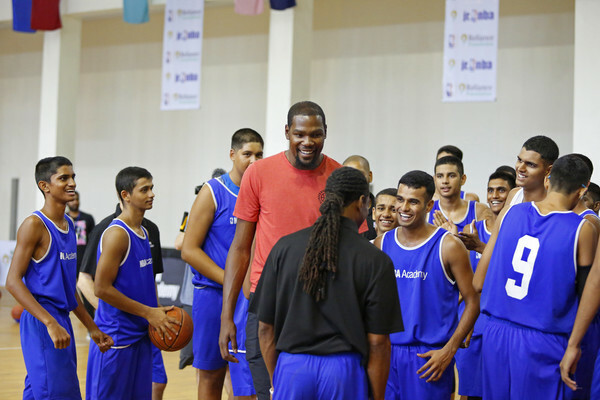 Durant has helped construct basketball courts from all over the world. He is currently helping with construction of new school in Maryland. He donated millions to his former college in Texas and has donated money to charitable causes. Kevin Durant is your winner of the 2018 NBA Cares Community Assist Award. Actor Jesse Williams is now on stage to present the NBA Cares Community Assist Award. Each month during the season, a NBA player is honored for his outstanding work in the community. Only one is selected as the season long recipient of the award. Casey thanked Detroit Pistons owner Tom Gores for believing in him and giving him a chance to improve the Pistons organization. Casey thanked the core of the Toronto Raptors for everything they accomplished during the 2017-18 season. He also thanked George Karl, Paul Westphal, Rick Carlisle and other coaches that helped him get to where he is today. And the 2018 NBA Coach of the Year is Dwane Casey, formerly of the Toronto Raptors. WNBA player Candace Parker and Adam Devine are presenting the award for Coach of the Year. Lou was the Clippers’ best player for big stretches of the season and ended the year averaging 22.6 points, 5.3 assists, 2.5 rebounds, and 1.1 steals per game in 32.8 minutes per night. Williams appeared in 79 of the Clippers’ 82 games, starting only 19. 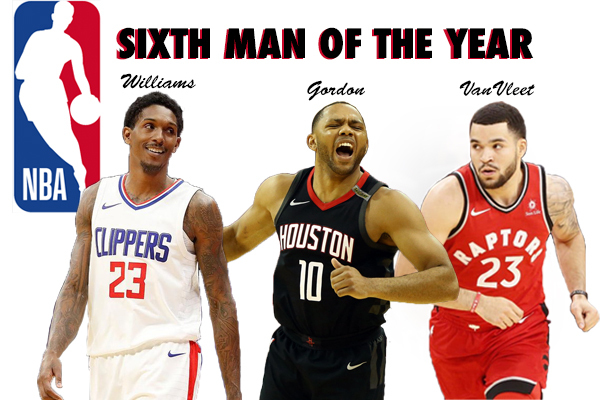 Williams is now a two-time Sixth Man of the Year Award recipient. And the winner for the 2018 NBA Sixth Man of the Year Award goes to Lou Williams of the Los Angeles Clippers. Kenny Smith just gave the audience a brief analysis of why each player can win the award. They are now discussing the Sixth Man of the Year Award. The NBA on TNT Crew are on stage discussing what has occurred so far. Gobert thanked his mom, who is back and France. He then went on to thank the Jazz organization and head coach Quin Snyder for believing in him and making him a better player. And the winner of the 2018 Defensive Player of the Year Award goes to... Rudy Gobert of the Utah Jazz. Center Tyson Chandler and actor Ken Jeong are on stage to present the award for Defensive Player of the Year Award. 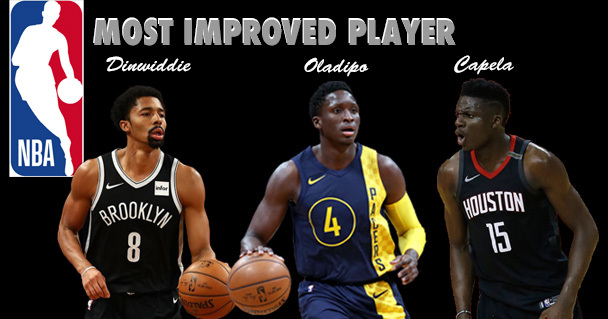 And the winner for Most Improved Player is Victor Oladipo of the Indiana Pacers. Josh Duhamel and Adrienne Houghton are on stage to present the award for Most Improved Player. The award could have gone either way. Simmons, Donovan Mitchell and Jayson Tatum really played well all season long. Simmons' overall stats and impact on both ends of the court as a 6-10 point guard just simply could not be ignored. People will be talking about this for years to come. Anderson made a joke about what Cleveland Cavaliers guard JR Smith was thinking about during that moment in the first game of the NBA Finals. He gets an great pop when he says, "He's wondering where LeBron will play next season." Anderson starts by talking about how player outfits and hair styles have evolved from those generations past. Host Anthony Anderson just took the stage. 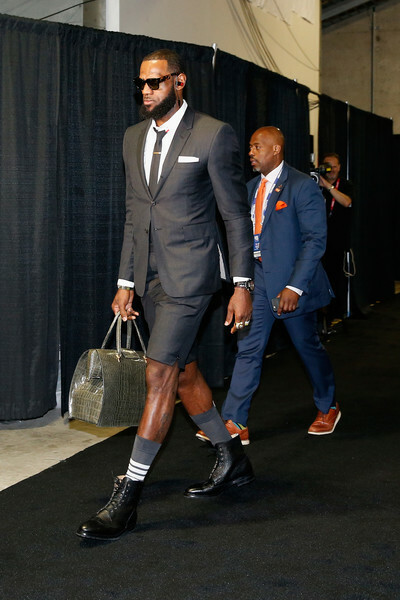 is wearing a suit similar to what LeBron James wore during the playoffs. 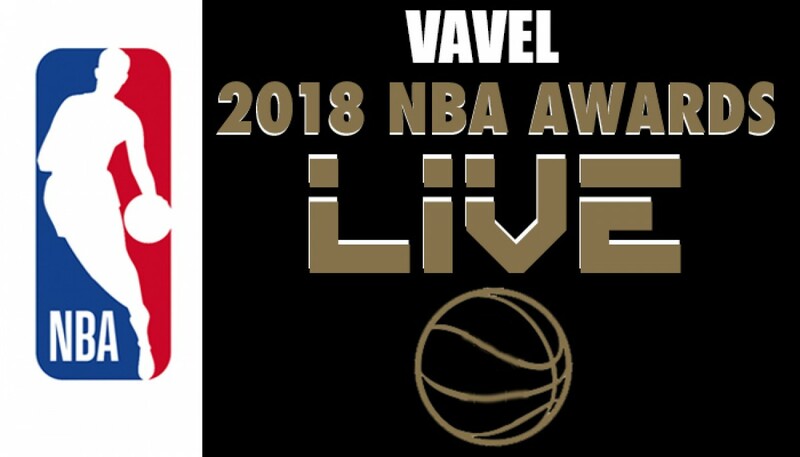 Welcome to VAVEL USA's live coverage of the second annual 2018 NBA Awards Show. We will keep you up-to-date on when each award is announced, guest and musical performing, as well as other events that occur during the show. The NBA Awards Show is on Monday, June 25 at the Barker Hangar in Santa Monica, Calif., with the show beginning at 9 p.m. ET on TNT. This year’s show will be hosted by actor, producer, and comedian Anthony Anderson, with musical performance by hip-hop artist Travis Scott. 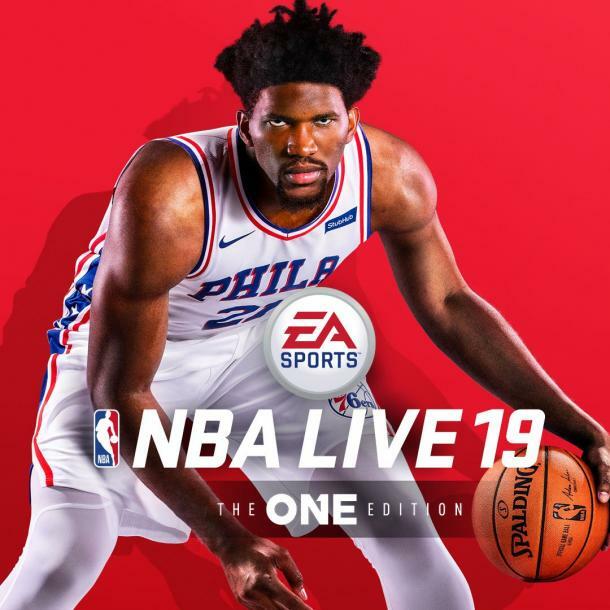 The awards show will honour this year’s NBA MVP, Rookie of the Year, Defensive Player of the Year, Most Improved Player, Sixth Man of the Year, Coach of the Year, as well as other award winners. We're just a little over 20 minutes away until the NBA Awards Show kicks off! In a roundtable discussion, our VAVEL USA writers Hunter Carroll, Christopher Jeter, and Raj Sawhney give their predictions on who will win each award. Check out their predictions here. 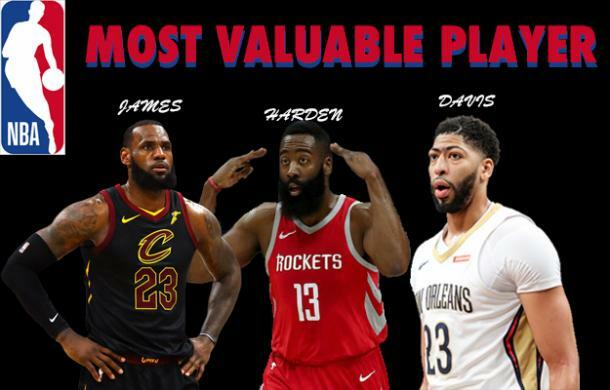 NBA MVP: James Harden, LeBron James and Anthony Davis -- all three of these men could win the MVP. Davis is considered the long shot but made a case for himself during the course of the season. The New Orleans Pelicans finished the season with 48 wins and finished sixth in the Western Conference. LeBron James took his team to the finals while James Harden finished his season one win shy of a Finals appearance. Harden was also a reason the Rockets finished with the most wins in franchise history. NBA ROTY: Many will be watching this award very closely. Ben Simmons missed the entire 2016-17 season with a ankle injury. He came back strong in 2017-18 season, securing the most rebounds and assists while scoring the second most points for rookies. 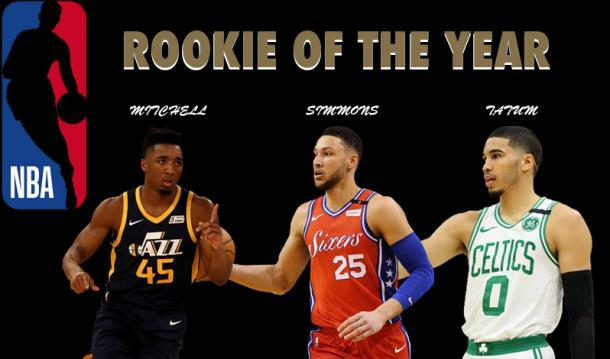 Donovan Mitchell holds the honor of scoring the most points and hitting the most free throws of all rookies this season. In his first season, he would help lead the Utah Jazz to a playoff appearance. Mitchell was the darling of the All-Star game this year, winning the slam dunk contest. Jayson Tatum was the more physical of the three. He will have the memory of dunking on LeBron James in the playoffs. Tatum finished fifth for all rookies in field goal percentage and finished the season with a better free throw percentage than Simmons and Mitchell. And although the awards will be focussed on regular season success, who could forget Tatum's dunk on James? 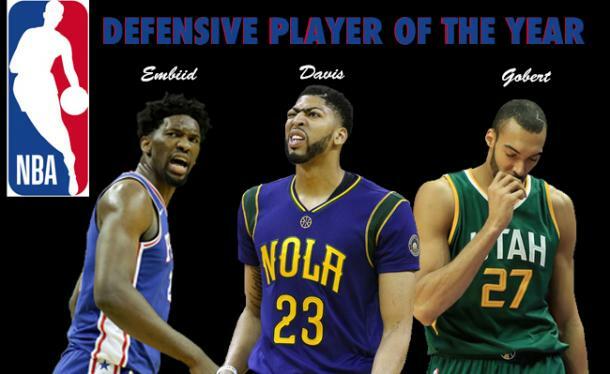 NBA DPOY: Of the three, Rudy Gobert stands out as the favorite. Gobert was an imposing presence around the rim, the Jazz allowed just 97.5 points per 100 possessions. That was by far the best mark in the league and the reason they went 29-6 in that span, establishing themselves as a force in the Western Conference. Below are highlights from Gobert's season. NBA MIP: Clint Capela and Spencer Dinwiddie put up a great fight, but this award is Victor Oladipo's to lose. Many put him down following the Paul George trade, but during the course of the season he silenced his critics. Oladipo turned into an All-Star, and improved across the board. Most impressively, he raising his scoring average from less than 16 points per game to more than 23 points per game. NBA SMOTY: Lou Williams has to be the favorite here. If he wins, this will be his second time winning the award (winning it with the Toronto Raptors in 2015). This is the first time in his career that he had a genuine case for All-Stardom, and while his efficiency dipped in the last couple of months, he finished the year averaging a career-high 22.6 points with a 57.4 true shooting percentage. NBA COTY: Both Brad Stevens and Dwane Casey made a case for themselves to be named Coach of the Year. Stevens would be my best bet of the two. He lost two-way forward Gordon Hayward in his first game as Celtics coach. Right before the Celtics playoff run, Kyrie Irving would go down with an injury. In spite of that, Steven managed to coach the Celtics to the No. 2 seed and earned a trip to the Eastern Conference Finals. 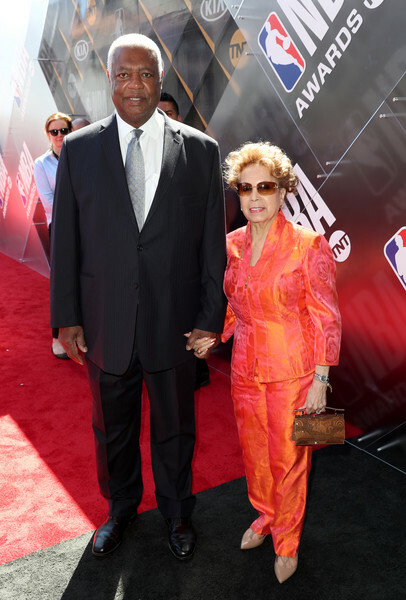 The NBA will also award Oscar Robertson for the Lifetime Achievement Award and Dikembe Mutombo for the Sager Strong Award. Outside of end-of-season awards, fans also got to vote for this year’s Best Style, Dunk of the Year, Clutch Shot of the Year, Assist of the Year, Block of the Year, and Handle of the Year. The winners of each category will be finalists for the Play of the Year award. Other awards to be handed out this evening include NBA Basketball Executive of the Year, NBA Sportsmanship Award, Twyman-Stokes Teammate of the Year Award, J. Walter Kennedy Citizenship Award, and NBA Cares Community Assist Award.